All the dents were filled with Bondo. 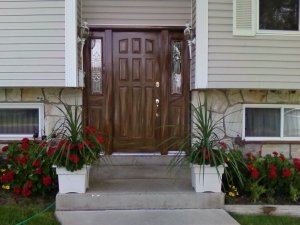 The wood door casing woodgrained to match. 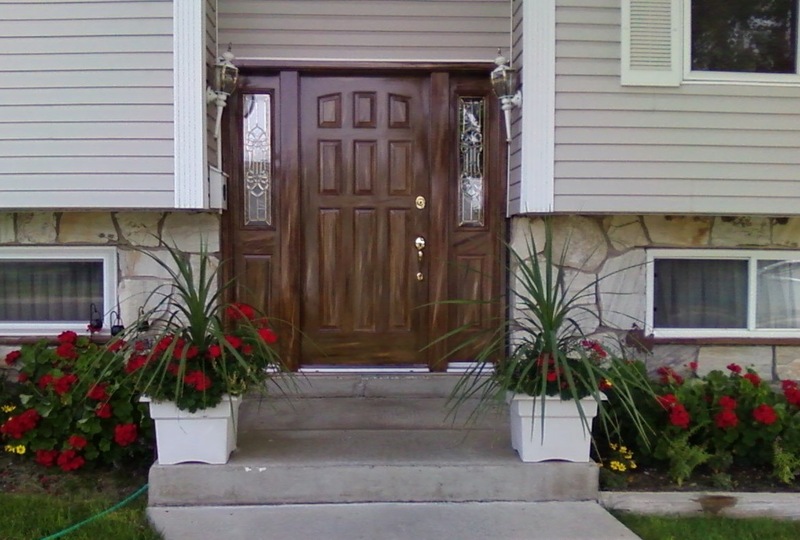 We primed the entired wood door casing with four different colors for the background. When dried, it was lightly sanded. With colored varnish, high light colors were painted on. Colors also were hand grained on top of the varnish. 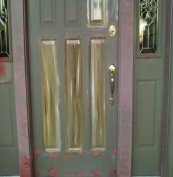 The colors were lightly sanded with a sponge sander so the color would not be sanded off, but leave bonding finish for the woodgraining. The door was then woodgrained by hand. 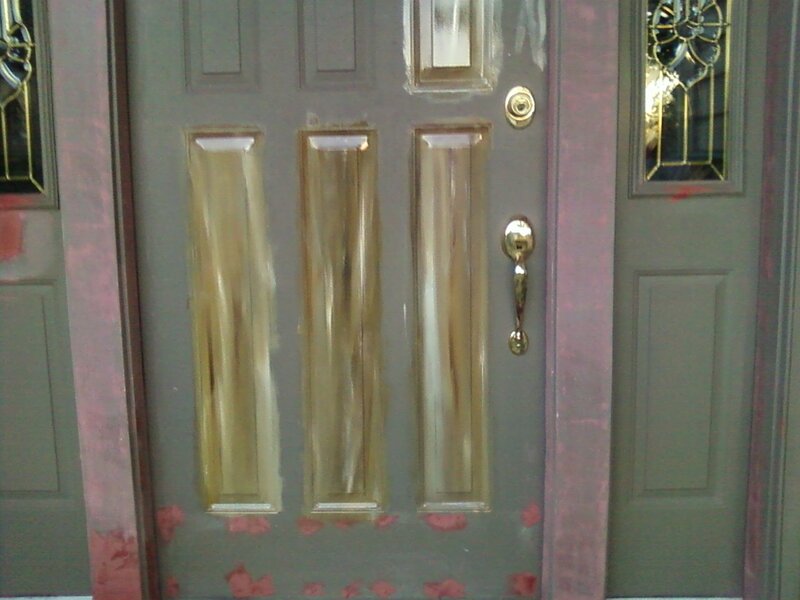 The door and casing were again lightly sanded casing without taking any color out. Then the first finish coat was applied to add detailed colors where necessary. 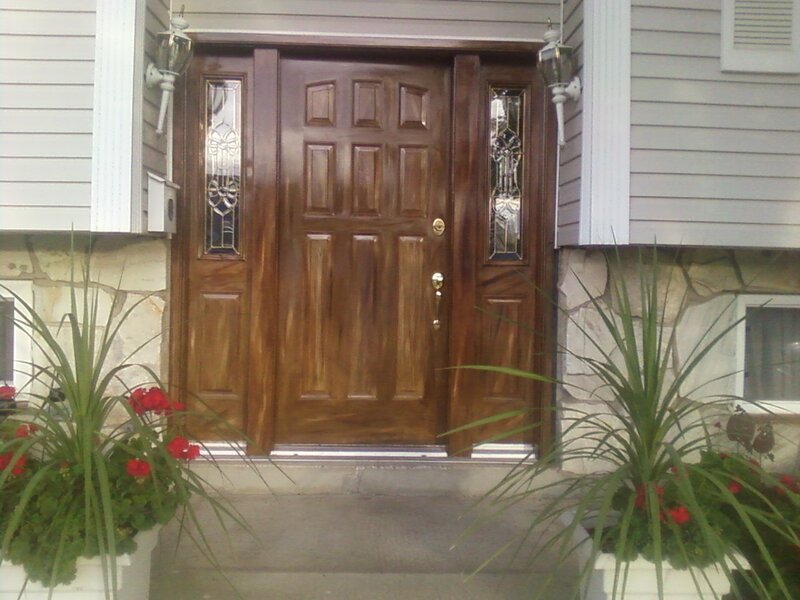 A second and final finished coat of specialty sealant was used on the door and casing as a protectant. an artistry of the woodgraining.